Friends of Forman is pleased to share with you that the Forman Christian College Board of Governors has voted to nominate Dr. Jonathan Mitchell to the Governor of the Punjab as the next Rector of Forman Christian College in 2020. The plans are for Dr. Mitchell to move to Pakistan in August of 2019 and take over as Rector from Dr. James Tebbe in January of 2020, when Dr. Tebbe plans to retire. Dr. Mitchell has extensive experience working in education in Pakistan with the Aga Khan Educational Service, where he managed 180 schools with 1,200 employees serving 25,000 students in Gilgit Baltistan and Chitral. He also served as Senior Education Advisor with USAID for Education in Pakistan after 9/11. His undergraduate degree in physics is from Wheaton College, his Masters in Public Affairs was earned at the Woodrow Wilson School of Public and International Affairs at Princeton University, and his PhD in Geography was awarded by the University of Colorado, where he specialized in Environmental Health and Child Development in Developing Countries. Dr. Mitchell was raised in Pakistan, where his parents were missionaries. He met his wife, Kate, when they were both teaching in Pakistan. They have three children – Daniel, Iain, and Sarah. Dr. Mitchell is a lay elder in his church in Cary NC, where he lives and serves as President and Founder of the non-profit company, Concentric Development, Inc.
Dr. Jim Tebbe became Rector of Forman Christian College in the summer of 2012. Since then, the number of students has grown by over 50% to 7,750. Numerous building programs for academics and academic support have increased the capacity of the university to accommodate this growth. Renovated buildings and campus infrastructure projects have brought the university up to modern standards. 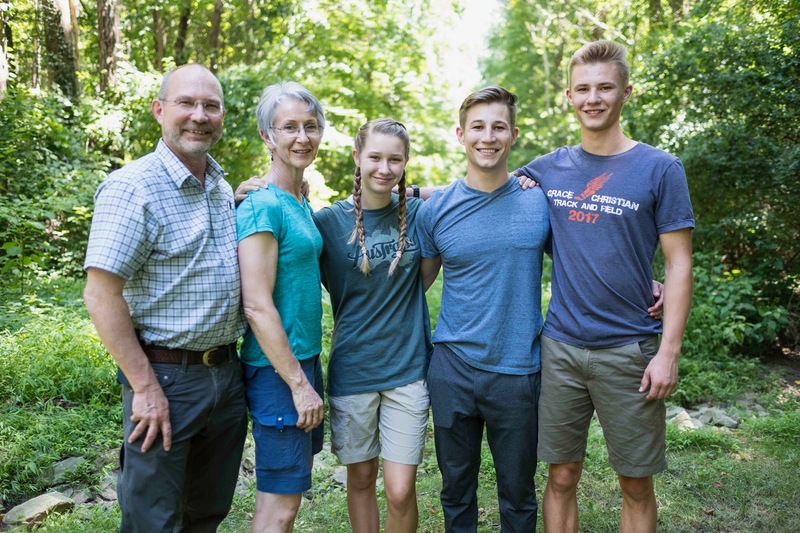 Jim and Beth Tebbe will continue to serve until January of 2020, when they will return to their home in Wheaton, IL, where they will work with Friends of Forman until their planned retirement in July 2020. The search for a successor of Jim Tebbe was entered into with a touch of fear and a whole lot of faith. We feared it would be difficult to find someone with the right credentials and spirit who understood the importance of both the Pakistan context and the liberal arts tradition. It took faith to believe that God was in charge of this mission and that someone who will serve as well as Dr. Tebbe could be found. After a request came from Forman’s Board of Directors to conduct this search for a candidate we prayed, cast a wide net, interviewed a select few, and unanimously rejoiced in recommending Dr. Jonathan Mitchell to be the future Rector of Forman Christian College. Dr. Mitchell will now “carry the torch” continuing the great trajectory set forth by both Dr. Peter Armacost and Dr. Jim Tebbe after Forman was denationalized. The Board of Friends of Forman believes that Dr. Mitchell fully supports the Christian and interfaith model of education that has worked so well at Forman. As we approach the holiday season we hope that you, our friends and supporters, will make a year-end gift to help us launch this man and his family into this ministry and increase scholarships for Forman’s eager but impoverished students. Thank you for your prayers and continuing support of the mission of Forman Christian College.